Your kids won’t update their status, post to Instagram, or tag anyone. And brace yourself, because neither will you. 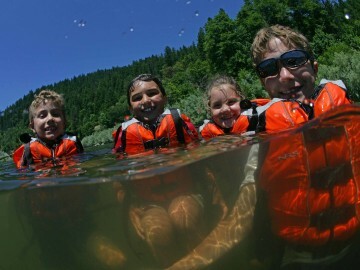 Initially, the lack of connection to mobile devices is a source of stress for many kids and parents alike, but the freedom gained from cutting the cord for even just a few days is so rewarding, I promise it will be a positive part of your rafting trip. In the evenings, there will be no separation of parents and kids while everyone catches up on social media. In the mornings, everyone will gather for hot coffee and cocoa, not to check their email. Your kids won’t be glued to screens of any kind. 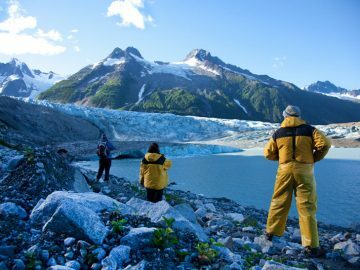 Smartphones aside, instead of zoning out to video games or binge watching Netflix all day, your kids will be glued to the most amazing scenery they’ve ever seen in their lives. 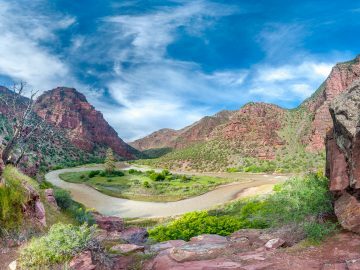 Instead of getting their entertainment fix from screens, they’ll get it from thrilling whitewater, epic hikes and bocce ball competitions. During calmer times, they might actually have to talk to you. And before bed, the only glowing “devices” they’ll be staring at will be the campfire or the Milky Way. Your kids won’t ditch you for their friends. 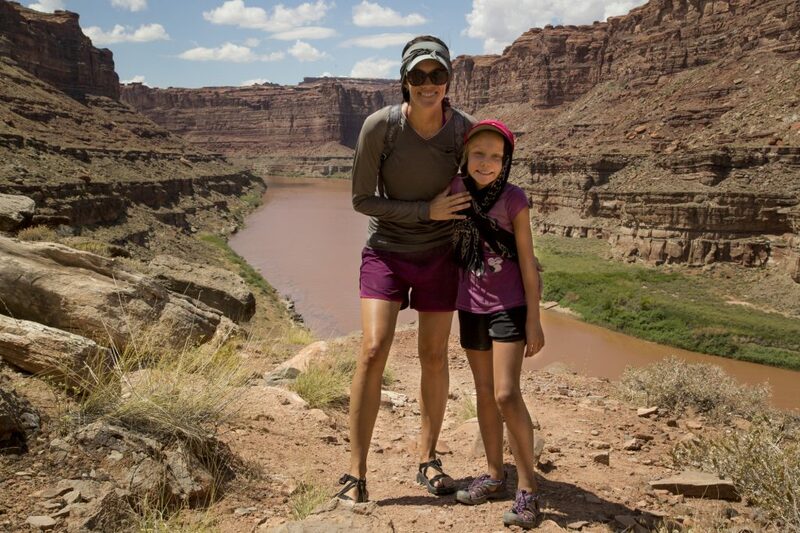 Family vacations can be an expensive investment, and as a parent, one of the greatest benefits is the quality family time a trip buys. 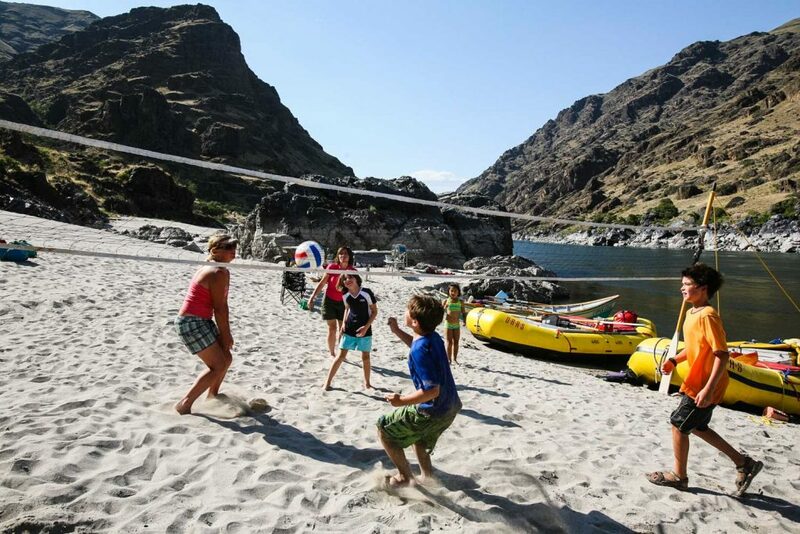 Sure, your kids are physically with you on standard vacations to beach resorts or on road trips, but on a rafting trip, you have their 100% undivided attention. They can’t text their friends and stay engrossed in their social lives at home. They can’t call or Snapchat their buddies. 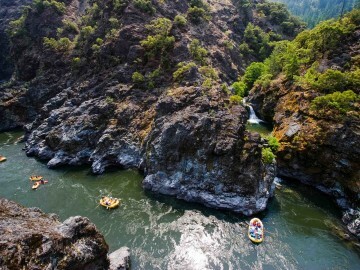 They’re yours for the duration of your rafting experience. 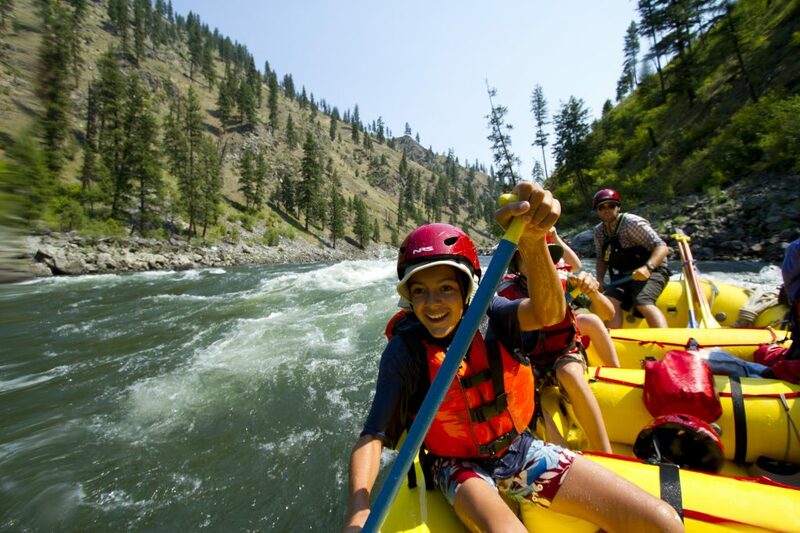 Your kids won’t say, “I’m bored.” Just like my son, who wondered what he’d do all day on a rafting trip just to discover he was busy all day, your kids will find plenty to do. 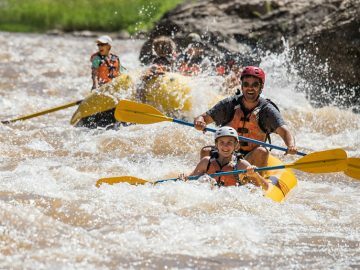 On the river, challenges and activities are around every corner; during swift water, there are rapids to scout, and during flat, calm stretches, there are side trips to historic sites, hikes to streams and swimming holes, and spots to paddle board, swim, or jump from rocks. At camp, kids swim, fish, play organized games, eat, drink, learn new card games, and tell riddles and jokes. Your kids won’t ask you for anything. This one is golden. They won’t ask you for money, they won’t ask you for a later bedtime, and they won’t ask you whether they can go out with friends. 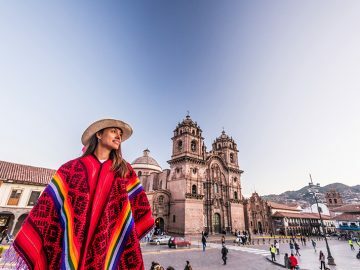 Everyone is on the same trip, on the same river together, on the same schedule. As a parent of teens, I appreciate this so much, because I don’t have to field any ‘can we go out, and can we stay up late’ inquiries. And there’s nothing to buy on the river, so no one will be asking you for souvenirs at every turn. So what will your kids do? 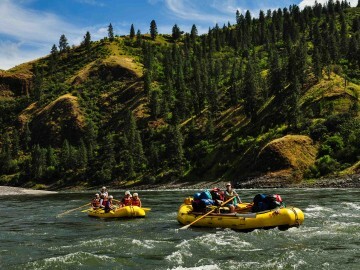 They’ll challenge themselves, try new things, explore a new place, gain a connection with nature, become exposed to a new way of life, get pretty dirty, engage in meaningful conversations, and maybe even pick up new career interests after spending quality time with their guides and fellow rafting passengers.